Fall is one of the times residents of the DC area flock to rural areas in search of fall colors. But it can be hard to decide what trails and scenic routes are best during the short peak color season. In this case, we’ve done that hard work for you and compiled 10 of the best fall foliage destinations. 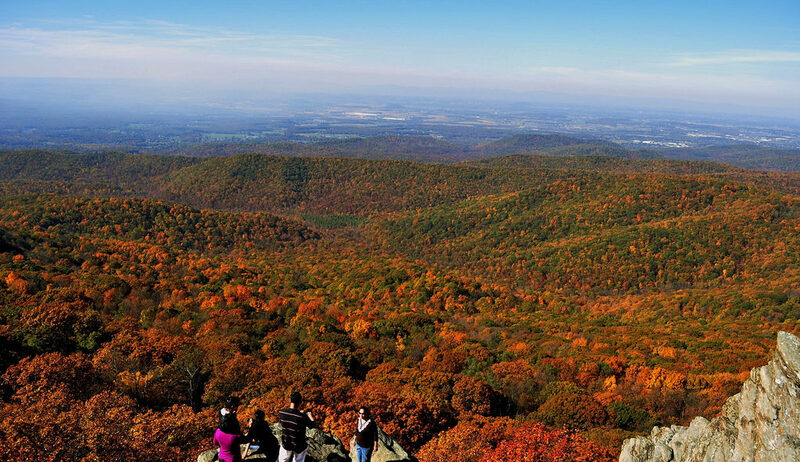 This 3-hour drive with 75 overlooks offers stunning views of the Shenandoah Valley. 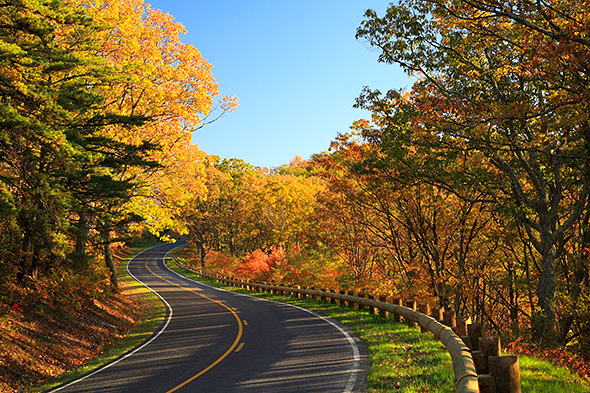 With a speed limit of 35 mph, Skyline drive allows you relax, roll down the windows, and experience all the changing leaf colors in this stunning fall foliage drive. Most common tree species on Skyline Drive include; chestnuts and red oak on the ridge tops and upper slopes, yellow poplars on the lower slopes and streams, and maple, birch, ash, and basswood on the mid-slopes. Cue up John Denver’s Take me home, country roads for this drive. 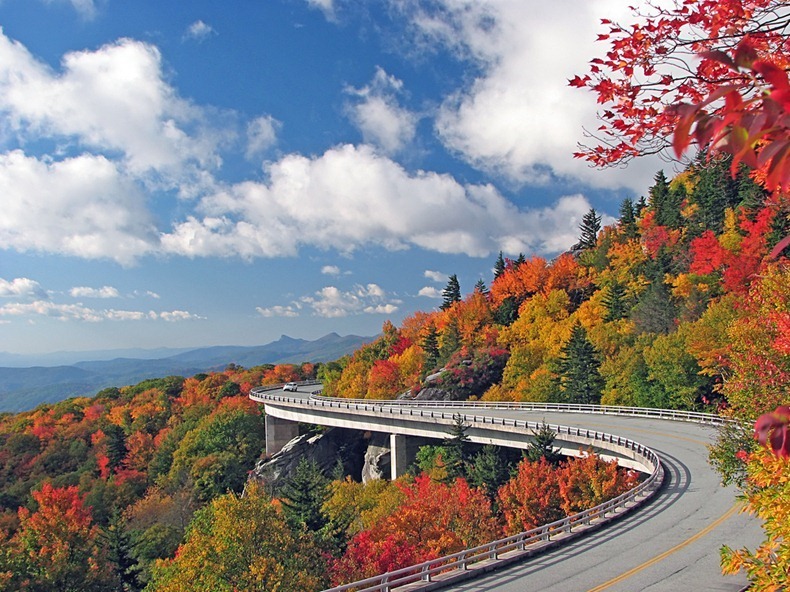 The Blue Ridge parkway spans a winding 469 miles throughout Virginia and North Carolina. With various elevations and over a hundred species of trees surrounding the parkway you’re in for a wonderful mix of yellow, orange, scarlet, & purple leaves. Most common tree species on the Blue Ridge parkway include; sugar maple, American beech, eastern hemlock, tulip poplar, red maple, white oak, and northern red oak. Calling all Wine Lovers….What is better than beautiful fall foliage? Fall foliage and wine! 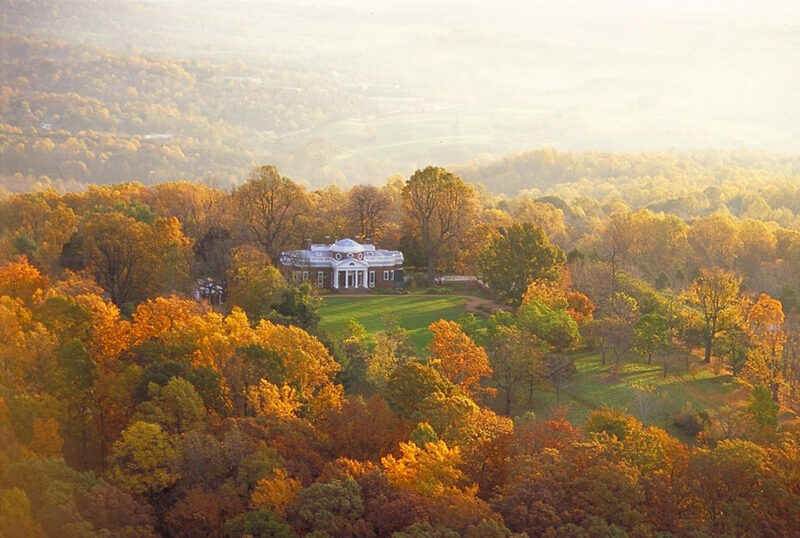 The Monticello Wine Trail combines the beauty of fall foliage destinations with exceptional Virginia wine. Our tip: Make it a weekend trip and take advantage of the charming country inns and exceptional dining. Most common tree species on the Monticello Wine Trail include; red cedar, sugar maple, red maple, and eastern white pine. 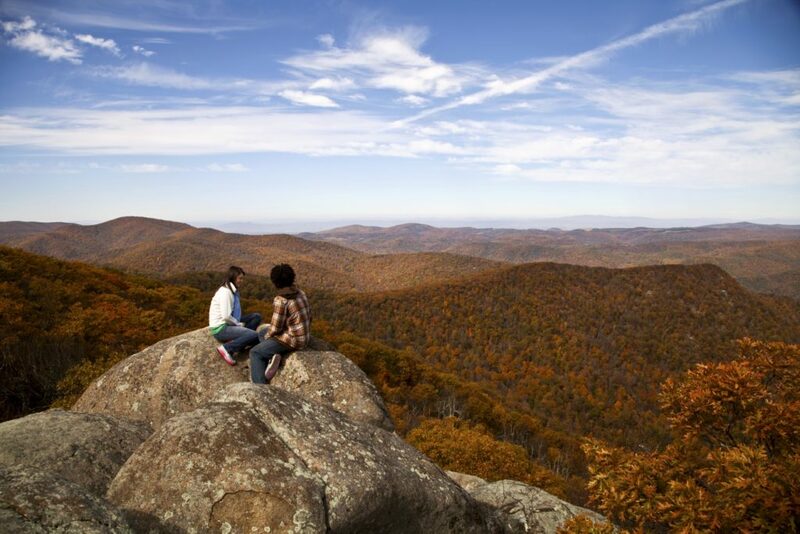 Experience Virginia’s musical heritage while exploring the lively fall foliage in the Appalachian Mountains. 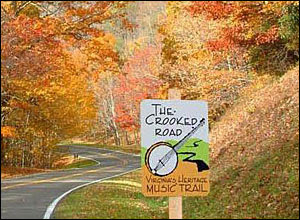 The crooked road has extraordinary fall foliage views as well as leading you to major hotspots of bluegrass, and traditional American mountain music. Most common tree species on The Crooked Road include; sugar maples, American Beech, Eastern Hemlock, Yellow Birch, Yellow Buckeye, and Carolina Silverbell. 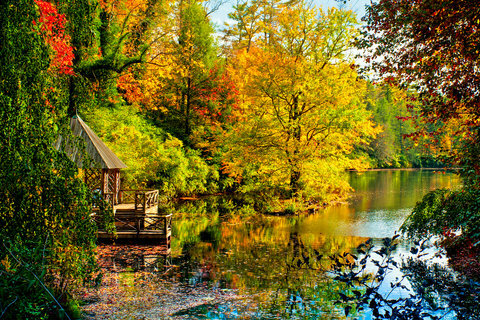 Wedged between the Blue Ridge Mountains and the Virginia piedmont, this once fully functioning farm has transformed into a beautiful fall foliage oasis. With 1,864 acres of park and multiple trails, families can enjoy the color explosion of changing leaves while exploring historic colonial through post-civil war life. Most common tree species at Sky Meadows State Park include a range of oaks and hickories. Surrounded by miles of wilderness, the Priest is a remote hike that gives way to a panorama of fall splashed mountains at the peak. As the most remote destination on this list, the priest offers a way to escape from the hecticness of the DC area and embrace the beautiful nature of autumn. Most common tree species at the priest include; sugar maple, American beech, eastern hemlock, tulip poplar, red maple, white oak, and northern red oak. 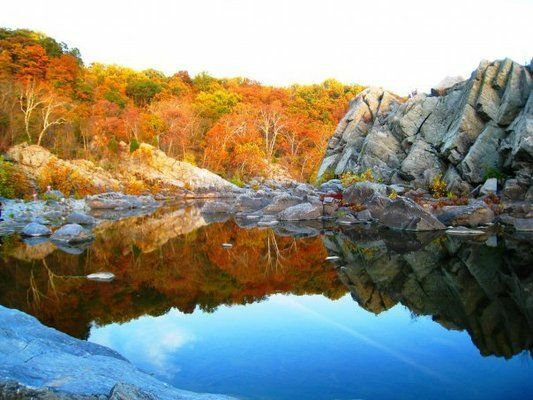 The Billy Goat Trail is great for Marylanders that what to experience fall foliage without venturing into Virginia. The hike is 4.7 miles that follows a path between the C&O Canal and the Potomac River. The unique thing about this trail is that it is filled with views of endangered species of plant fauna. The most common tree species seen at Billy Goat Trail include; hickory, ash, oak, and poplar. 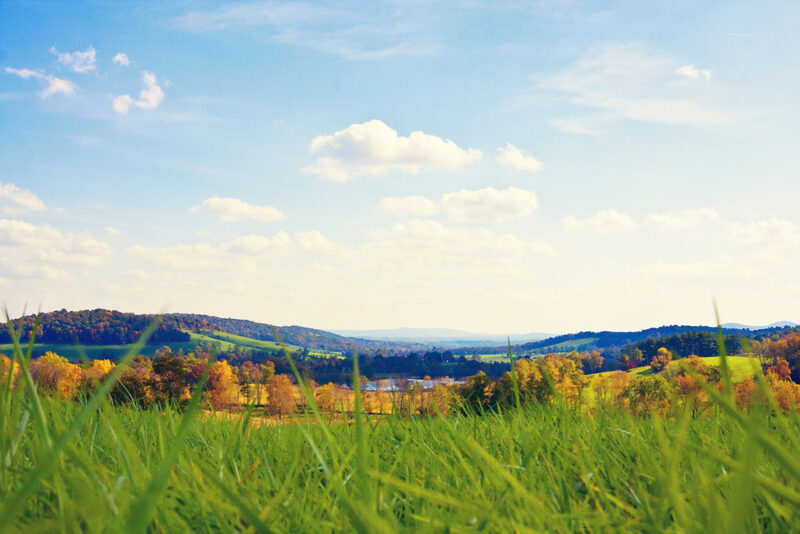 Get ready to experience 360-degree views of the Shenandoah Valley. Humpback Rocks is a short 1.0-mile climb but don’t let that fool you. Within a mile, this trail ascends 800 feet and is a tough climb but the views are worth it even for novice hikers. The most common tree species seen at Humpback rocks include; red cedar, sugar maple, red maple, and eastern white pine. 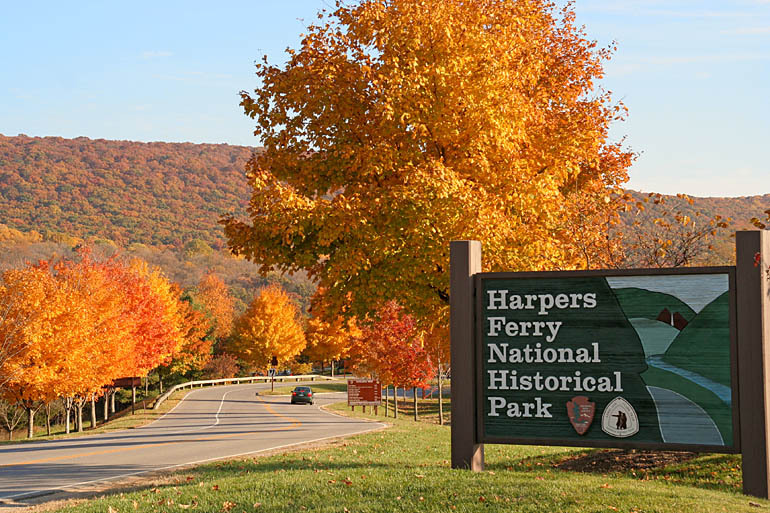 Take a break from the DC fast paced area and escape to a small town surrounded by beautiful fall foliage. Harpers Ferry West Virginia is where the Shenandoah River meets the Potomac. In this centuries-old town that is just over an hour from the District, you can observe the changing leaf colors while relaxing and experiencing the small town life. The most common tree species seen here include; chestnut oak, black oak, and red oak species. The fall foliage beauty of Asheville, NC comes from extreme elevation variations and over 100 species of deciduous trees. These aspects result in a colorful mix of leaf colors that last throughout the season.The most common tree species seen here include; sugar maple, American beech, eastern hemlock, tulip poplar, red maple, white oak, and northern red oak. 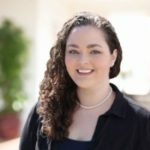 Samantha Huff is the marketing coordinator at RTEC Treecare. She enjoys learning about the technical aspects of trees and the insects and diseases that prey on them. 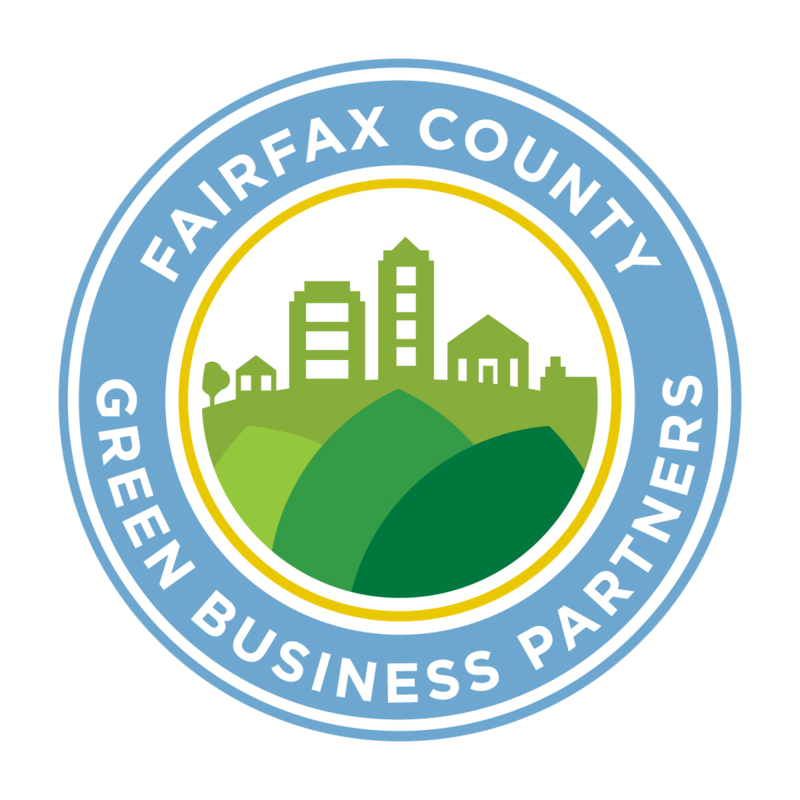 She hopes that these articles can help homeowners gain control of their tree and shrub maintenance by being aware of the signs and symptoms of unhealthy trees.